A $50 deposit is required upon booking the service, and the remainder is due upon delivery of the files. 24-hour rush formatting jobs are available for an extra $50 fee. $20/hour fee is assessed for any additional time spent on typos or other basic fixes. Projects are completed within two weeks. 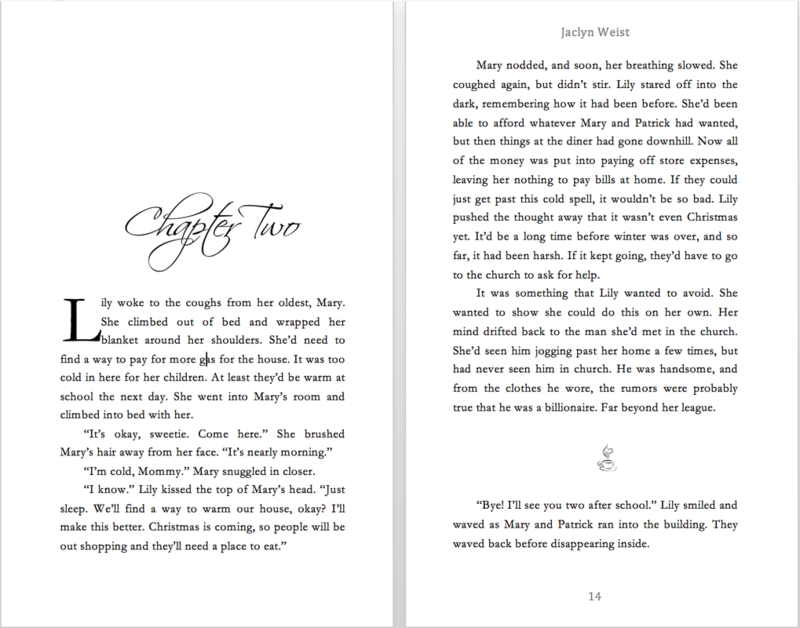 Simple formatting is a classic look with no graphics. 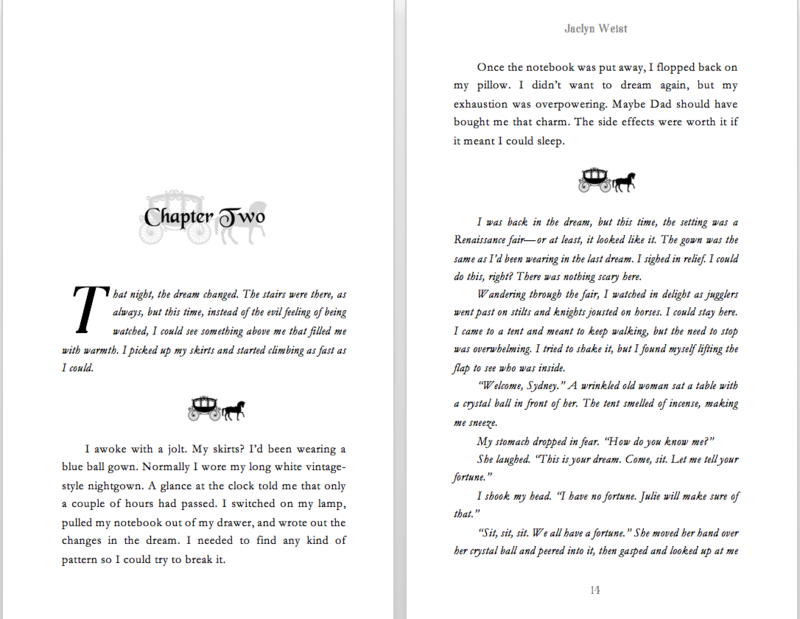 Custom formatting includes graphic page breaks and chapter headings.